Finding the best mortgage deal is crucial as it could be the biggest financial commitment you ever make. Choosing the right deal is about more than just finding the lowest interest rate. What type of mortgage deal should I get? Which mortgages will I be eligible for? 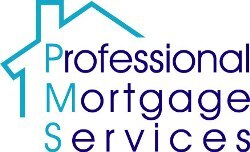 If you are thinking of buying your first home, moving up the ladder and are asking any of these questions you need to take professional mortgage advice, We will conduct a detailed fact find with you to establish your circumstances and preferences and will make some recommendations to you. We Compare Mortgage Lenders to find the best rate and term to suit you.